The Ethiopian Wildlife Conservation Authority (EWCA) is a government organization under the Ministry of Culture and Tourism given the authority to undertake conservation and sustainable utilization of wildlife in Ethiopia. Currently, they manage 13 national parks. EWCA works closely with national and international stakeholders on wildlife conservation. Their mission is to scientifically conserve and manage Ethiopian wildlife and its habitats in collaboration with communities and stakeholders for the ecological, economical and social benefits of the present generation, and pass to the next generation as a heritage. Their vision is by 2020 to be one of the top five countries in wildlife tourism in Africa. of Culture and Tourism given the authority to undertake conservation and sustainable utilization of wildlife in Ethiopia. Currently, they manage 13 national parks. EWCA works closely with national and international stakeholders on wildlife conservation. Their mission is to scientifically conserve and manage Ethiopian wildlife and its habitats in collaboration with communities and stakeholders for the ecological, economical and social benefits of the present generation, and pass to the next generation as a heritage. Their vision is by 2020 to be one of the top five countries in wildlife tourism in Africa. FZS-BMCP was set up in 2005, to provide support to the Bale Mountains National Park in all aspects of Park management - from eco-tourism development to outreach, sustainable natural resource use, Park operations and ecological management. In March of 2007 a 10- year General Management Plan for the Park was ratified by the president of the Oromia region. FZS-BMCP is currently working in partnership with BMNP and other authorities towards implementing this GMP. FZS-BMCP’s goals are: (i) to see BMNP gazetted and listed as a natural world heritage site; (ii) to ensure all the tools are in place enabling the efficient management of the Park; and (iii) to ensure the long term conservation of the unique biodiversity and beauty of the Park, while also addressing the needs of communities. 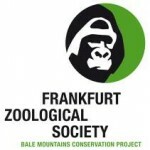 In Ethiopia FZS currently has two projects: the Bale Mountains Conservation Project (FZS-BMCP) and the Afroalpine Ecosystem Conservation Project (FZS-AECP). Both projects work to conserve Afroalpine ecosystems and their important inhabitants together with Ethiopian partners. 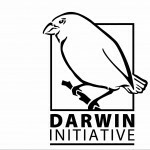 These projects support protected area management, develop community conservation areas, assist in sustainable livelihood and tourism development; and foster local and international research. FZS is committed to working in close cooperation with local organizations and communities, including governmental and non-governmental bodies. 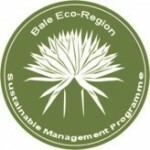 The European Union is currently funding the Afromontane Conservation in Ethiopia (ACE) project, of which Bale is a part. Without their commitment and ongoing support many of the Park’s recent successes would not have been possible. The Ethiopian Wolf Conservation Programme (EWCP) is a WildCRU (University of Oxford) endeavour, working closely with local government partners to protect the endangered Ethiopian wolves. Founded in 1995, the goal of EWCP is to conserve the wolves and their Afroalpine habitats by addressing the most serious threats to their survival. EWCP promotes the wolves as a flagship species for the protection of Ethiopia’s Afroalpine ecosystem, home to a rich endemic fauna and flora that are vital to human livelihoods. To learn more about the programme, please visit www.ethiopianwolf.org. To find out more about these and other FZS projects, please visit www.fzs.org.